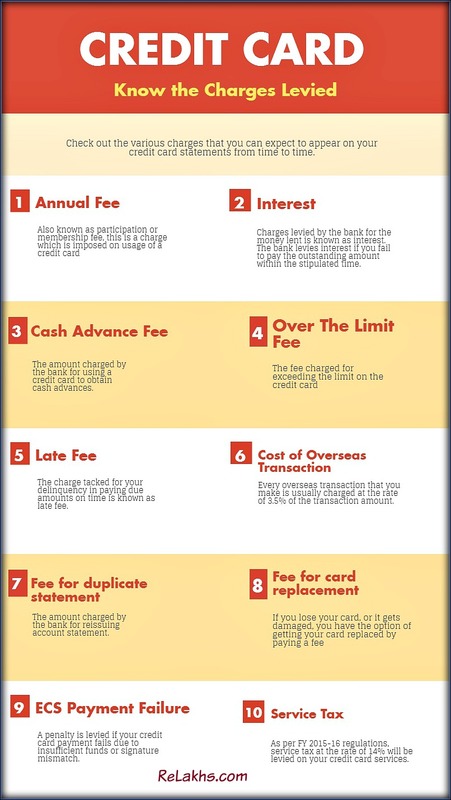 The 10 Credit Card charges that you should be aware of ! You are here: Home / Banking / 10 Credit Card charges that you should be aware of ! I got a phone call offering me a free credit card. I was amused by the way the caller parroted the range of benefits and rewards. But as the offer seemed decent, I decided to go for it. But to my surprise, a lot of additional charges were levied later on, which I wasn’t told about upfront. I know so many people who have said the same thing to me time and again. While getting a credit card at the drop of a hat feels good, it may not always be the best offer available. Before agreeing to any such offerings, it’s important to do your homework. This article attempts to draw your attention towards various charges that you may expect to appear on your credit card from time to time. Be mindful of these to make sure you enjoy all the benefits that your credit card offers you. Annual Fee – Also known as participation or membership fee, this is a charge which is imposed on usage of a credit card. In many cases it may be waived off for the first year, but is essentially billed from the next one to the customer’s monthly statement. It may range from Rs 500 to Rs 3000 for a year. For example annual fee for HDFC Regalia credit card is Rs 2500, while it is Rs 2000 for an ICICI signature credit card. *The annual fee for the first year is called as joining fee. Interest – The charges levied by the bank for the money lent is known as interest. The bank charges it if you fail to pay the outstanding amount within the stipulated time. An interest rate of around 3% per month and 36%-38% per annum is levied on the expenses incurred. Cash Advance Fee – The amount charged by the bank for using a credit card to obtain cash advances. The transaction charges may be based on the percentage of (around 2.5%) cash advance amount or may be a flat per transaction fee. Apart from this, an interest cost at the rate of 24%-46% per annum is also levied on it, right from the day of cash advance. Over the limit fee – The fee charged for exceeding the limit on the credit card. The important fact here is, that even if you exceed your limit just by Rs 1, you are liable to pay an over limit fee of Rs.500 or so according to the norms of the Card issuer. Late fee – The charge tacked for your delinquency in paying due amounts on time is known as late fee. If you are more than 90 days late, you are sure to attract late fee. The late fee charge on tardy payments varies according to the due amount. If it is somewhere between Rs 500-20,000, a fee of Rs 100-600 might be charged. However, for amounts more than Rs 20,000 the fee may range between Rs 700 and Rs 800. Cost of Overseas transaction – Every oversea transaction that you make is usually charged at the rate of 3.5% of the transaction amount. The amount charged is converted to INR according to the exchange rates on the date of transaction. 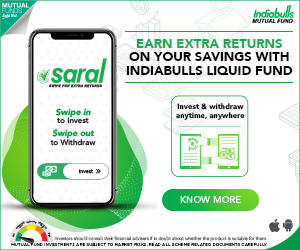 Fee for duplicate statement – Apart from monthly statements that are sent to your postal address, Rs 50-100 is charged by the card issuer for a duplicate copy of your card statement. Fee for card replacement – If you happen to lose your card, or cause any sort of physical damage to it, you have the option of getting your card replaced by paying a fee of Rs 250-300. Both HDFC and ICICI bank charge Rs 100 for replacement of the card. ECS payment failure – If your credit card payment realization fails through cheque or standing instructions due to insufficient funds or signature mismatch, a penalty fee of Rs 300-350 is levied. Service tax – According to the recent regulations passed in the financial year 2015-2016, service tax at the rate of 14% is levied on your credit card services. Further, from November 15th, 2015, an additional Swachh Bharat Cess got added at the rate of 0.5%, which left the service tax at 14.5%. After the new proposal brought in during the 2016 Union Budget, the applicable service tax from June 1, 2016 will be 15% thus making your transactions a bit more costly. Many a times you are not informed about these charges in advance, so having a basic idea about them will put you in a good stead. You’ll know exactly what to ask the telecaller or executive before accepting their card on offer. Being armed with the knowledge of these various credit card charges and fees, will help you reap maximum benefits from your card and use it prudently. This is a guest post by Sahil of Paisabazaar. 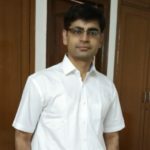 Sahil Arora is the Vice President and Business Head of Credit & Debit Cards division at Paisabazaar.com. Apart from heading the division’s business operations, he is also keen on spreading awareness regarding credit cards, their use and dos and don’ts. Kindly note that Relakhs.com is not associated with PaisaBazaar. This post is for information purposes only. This is a guest post and NOT a sponsored one. We have not received any monetary benefit for publishing this article. I have joined a company in May 2001 and working still with the same company at Chennai. I have updated my UAN details ( PAN,Bank account and Aadhaar). When I checked UAN site for online withdrawals I found only one Form (FORM 31,19 &10C) is listed under my online Services. After Proceeding for Online Claim option in this screen prompted for Choose form type: PF WITHDRAWAL/PF ADVANCE/PENSION WITHDRAWAL. Under I want to apply for ———————PF Advance (Form31). Only option I got in that drop down options. option it further given details like. I need know out of my above said amount how much I can with draw and how much maximum I can withdraw out of my Pension, Employee Share and Employer Share. Recently I found that mobile number should be same in Aadhar ac and UAN account so I have given update request in Aadhar. Once It is updated how much amount I can go for maximum withdrawal . And if I submit online request form how many days it will take to get credit into bank account. Please Advice.Waiting for ur response. The EPFO has recently announced that online EPF claims (full / partial) will be processed within 5 days of time. You may have to verify your Aadhaar seeding with an OTP, after which other options can be visible. Hi, Great article. I also want to get a credit card but cibil score scares me. This is because I have heard that non payment in credit cards due to any reason also lowers down your cibil score. Is that true? Dear Amit..Yes, it does affect the score. I want to share a small incident that recently happen. I have Andhra Bank Debit Card and Citibank Credit Card. In a hurry, instead of using Debit Card for cash withdrawal of Rs.5000, I have used Credit Card. My bad luck, as the PIN is same for both cards, I received money from ATM but realized when checked SMS from Citibank. When I verified the T&C, I came to know that I will be charged Rs.500 as Cash Advance Fee and Service Tax as well. As per their rule, Interest will be charged on Cash Advance till the Liabilities shows ZERO. I had to clear all credit card debt immediately, which includes Rs.5000 withdrawal plus Rs.500 Cash Advance and all other transactions I have done recently as well (for which I still had grace period of 35 days). With my small mistake, I lost Rs.500. I pay all my credit card bills on-time (mostly in-time). Hope, this helps someone not to misuse credit card. NEVER USE CREDIT CARD FOR CASH WITHDRAWAL. DO NOT KEEP SAME PASSWORD FOR DEBIT AND CREDIT CARDS. DO NOT KEEP CREDIT CARD IN AN EASILY ACCESSIBLE PLACE (IN THE WALLET). Thank you dear Sanjay for sharing your real-life experience. Yes, it is wiser to keep different passwords for Debit & credit cards. Also, one needs to keep the mobile number up-to-date with the banks/financial institutions, so that alerts can be received and one can minimize the losses (if any). Credit card is equally good and bad. One should use credit card wisely and pay outstanding on due date. If one use credit card carefully then you can earn Rewards point and you can also earn interest on your money by first paying bill through credit card then making payment after 45 days this is how you may earn interest of 45 days on you cash. Valid point. Personally, I have been using one Credit card for the last 12 years. Till date I have paid ‘entire amount due’ before the due date. I have also observed that having Credit card(s) may lead to IMPULSIVE BUYING behaviour.. Very informative article. Thanks for publishing. Another great piece of information. 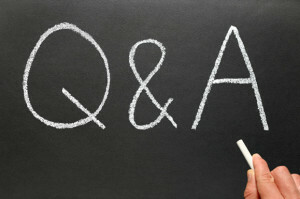 Can you elaborate the applicability of service tax. Is 15% percent service tax levied on all our transactions?? How is it calculated? not on all the transactions. but on bank charges transactions like late fee, joining fee, annual fee etc. Dear Shrikant ..For example – You apply for ‘Duplicate Card Statement’ then service tax is applicable on the fee (if any) charged for issuing statement by the bank.